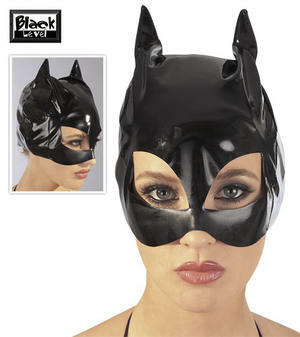 The ultimate fetish-outfit - all men dream of getting a visit from the "Cat Woman"! Black lacquer mask with small ears and large openings for the eyes. Elastic quality that adapts to the head. 50% polyurethane, 50% polyester.